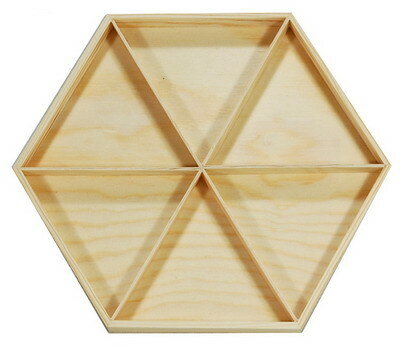 This Hexagon shaped Balsam wood tray measures 10.5" from corner to corner, 1" high. It is divided into 6 sections. It is available in natural only. This item also comes in other shapes and divisions. Please click item number F0325, item number F0326, item number F0327, or item number F0329 to view these items.